Lucy Gossage wins the Ironman UK for the third time! Another incredible performance from Lucy Gossage winning the Ironman UK for the third time. Saying we are proud of her doesn’t do her achievements justice! What an athlete! 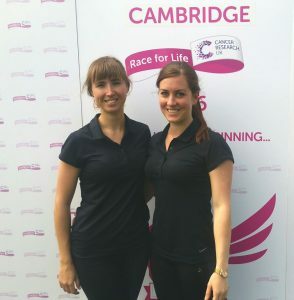 Fit Again Sports Therapy supports Cambridge Race For Life! Thank you to this years placement students! Hayley Simmonds becomes the British Elite Women’s Time Trial Champion! Congratulations again to Hayley Simmonds for defending her title and being British Elite Women’s Time Trial Champion for the second year running! So happy to be writing this post – a very well deserved winner! Lucy Gossage wins Ironman 70.3 Staffordshire! Megan presents at the University of Hertfordshire showcase event! We are excited to announce that we are now in partnership with Cambridge United Football Club! Great club, great staff and one very proud clinic, read more details in the article below. 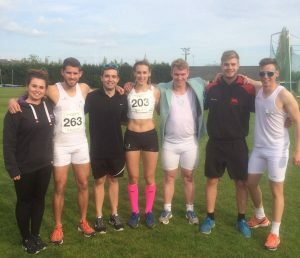 Cambridge University Athletics Club win Varsity again! Eddie Izzard completes 27 Marathons in 27 days!